Whether store bought or picked fresh in your backyard, summer blueberries are a great source of antioxidants! 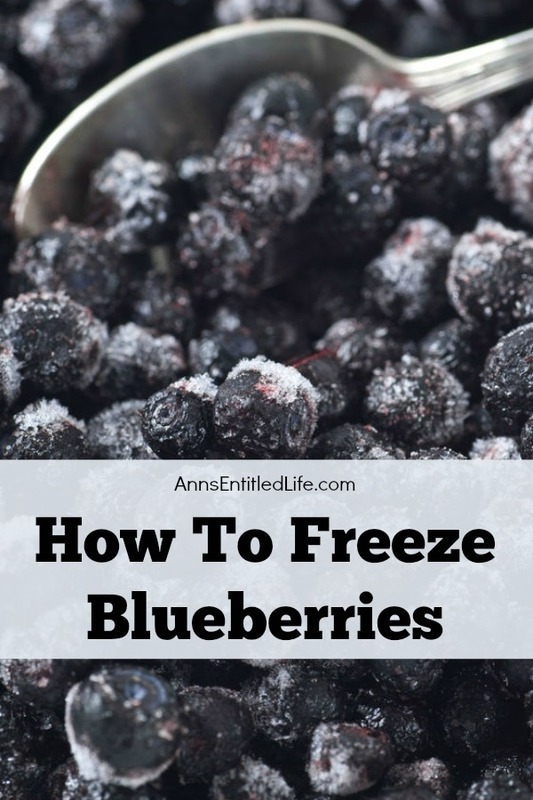 To preserve these delicious berries for use when they are not in season, follow these easy How To Freeze Blueberries instructions! 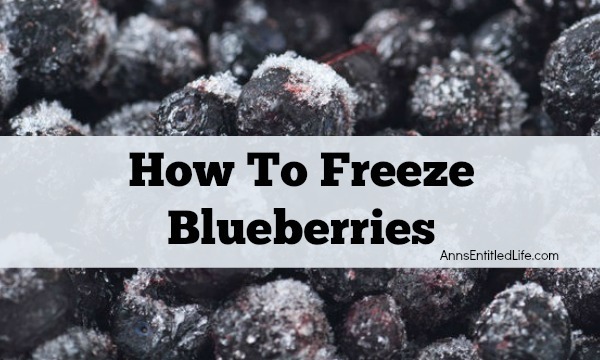 The blueberries I froze in this tutorial were purchased in the grocery store. It honestly does not matter where you buy them – store, farmstand, or if you grow them yourself. 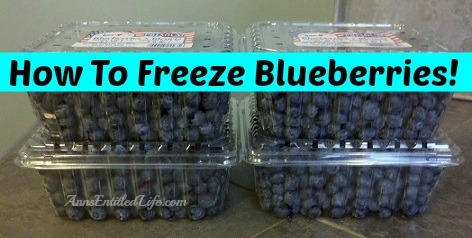 Freezing blueberries is simple. So next time there is a great blueberry sale at your local grocer, or if you have an abundant harvest, simply follow the steps below to extend your blueberry bounty for later use. 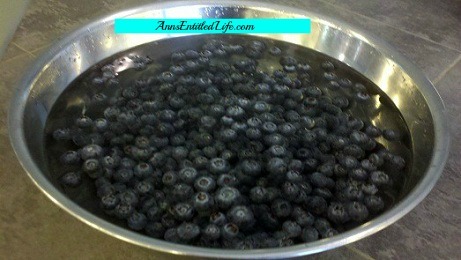 Wash your blueberries thoroughly in a colander, drain completely and remove any leaves or twigs. Layer cookie sheets with dish towels or paper towels to remove excess water. Place blueberries on a single layer on top of the towels. 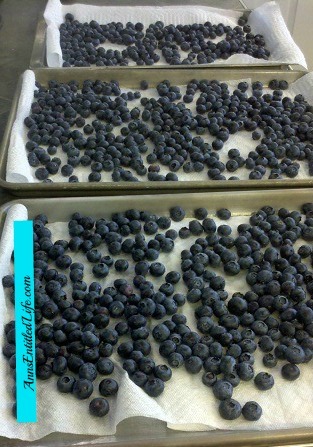 When the blueberries are dried, remove the paper or dish towels. 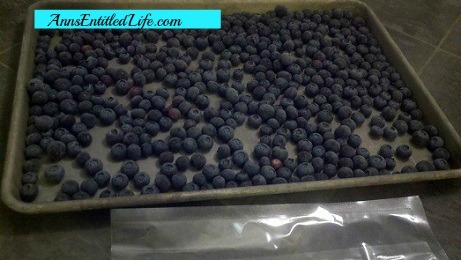 Place single layered blueberry trays in the freezer. Allow to freeze overnight. The next day, remove the frozen blueberries from the tray. 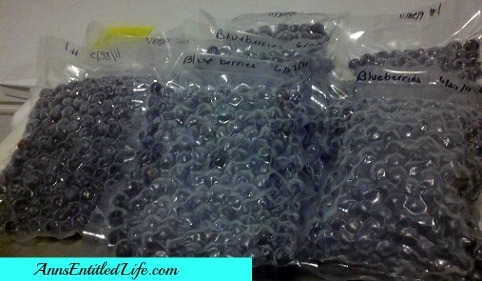 Gently place the frozen blueberries in a ziploc or vacuum sealing bags, again in a single layer. 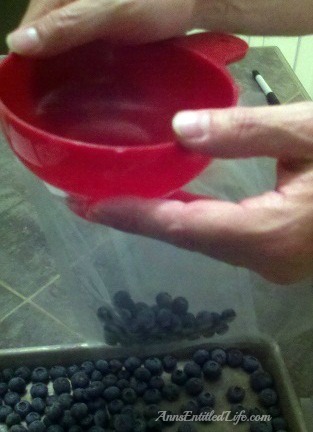 Vacuum seal your frozen blueberries. Label accurately! Now you are ready to enjoy summer blueberries throughout the year! Whenever I see that word, I think of vitameatavegamin. No idea why!